The First of it's kind "Full Feature Magazine" on the Bboy Culture and Pro Breaking Tour, highlighting The Silverback Open Championships 2015. 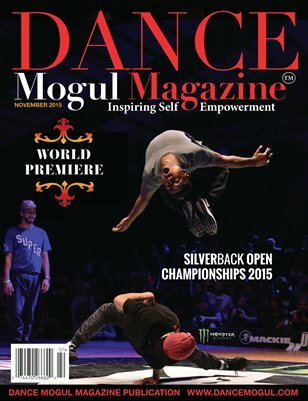 No one devotes their entire publication to dance events or dance culture like DanceMogulMagazine. The dancers and events have specific purposes and missions that they are carrying out, to grow themselves and the culture. Dance Mogul Magazine is always right there to provide the proper platform to inspire the self empowerment that comes along with being a dancer and dance brand. Special Thanks to the UDEF Pro Breaking Tour staff and all the Sponsors involved for helping to create history.